For Ghosts who wonder at the majesty of the universe. The old doubts came back when the Light went out. But the iron in her bones, worn and rusted as it was, never buckled. The Light was gone, but holding a sniper rifle still felt right. She marched into the City beneath a refugee's hood, took up a roost in the building with the white rabbit, and killed 216 Cabal with 199 bullets. 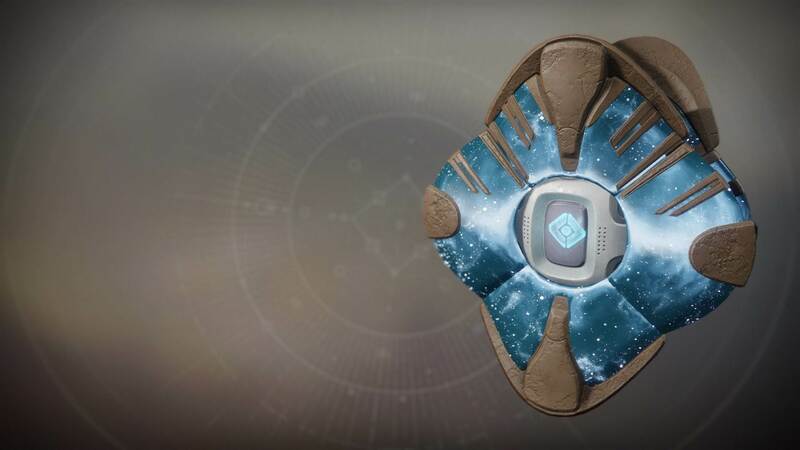 She cried when the Traveler woke before her eyes. At her hip a radio blinked to life. It had gone quiet when the Red Legion attacked. She answered it with trembling fingers. "I know," she said. "I can see it. I can feel it." "Even the stars are brighter now," said the voice over the radio. "The whole cosmos is ablaze." She closed her eyes. "I can't wait to see it. I'm coming home. Efrideet out."